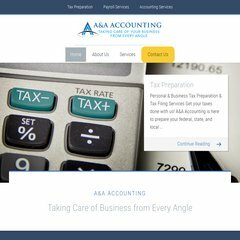 Topics: Tax Preparation, Payroll Services, Accounting Services, Business Accounting Services, and Personal Tax Preparation Services. Media Temple Inc. California is the location of the Apache/2 server. ns2.mediatemple.net, and ns1.mediatemple.net are its DNS Nameservers. The programming language environment is PHP/5.2.5. PING www. (72.47.237.182) 56(84) bytes of data.